Taken in Cedarburg, WI. More Wordless Wednesday …. Welcome to Week #9 of Taphophile Tragics on this blog! My list of links is Powered by Linky Tools. Please Click here to enter your link and view this Linky Tools list… which will open in a new page (sorry ….. unless I pay for the full WordPress, this is the best the Linky can do). My contribution this week is from the Oak Ridge Cemetery in Springfield, Illinois. I just saw the film Lincoln on Saturday, and wanted to revisit some of the photos I took in this cemetery. 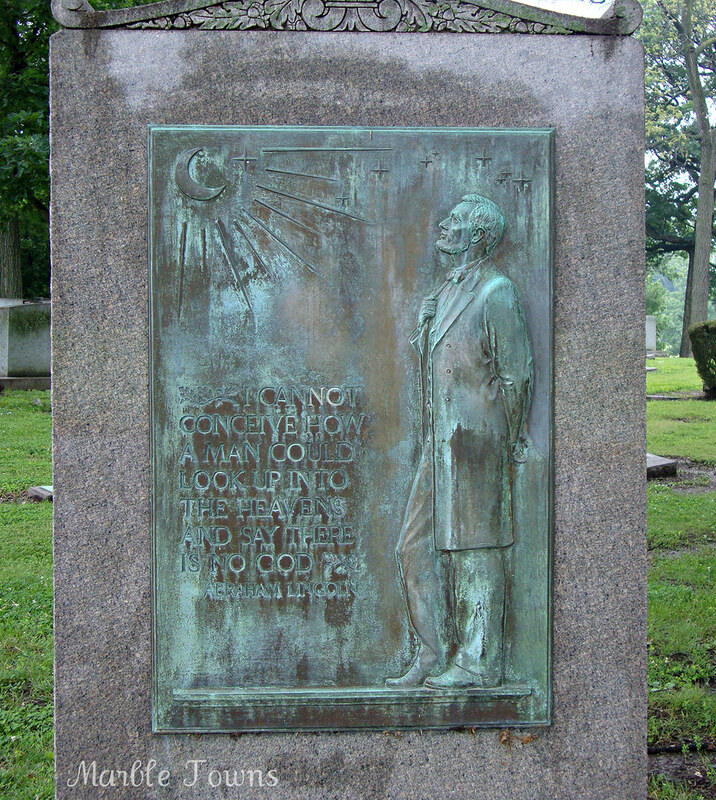 This cemetery is the final resting place of Abraham Lincoln, and this plaque is just one of the memorials there. You can read more about the cemetery here. The cemetery is quite large, and I wouldn’t mind going back at some point to look around more, and take more photos. 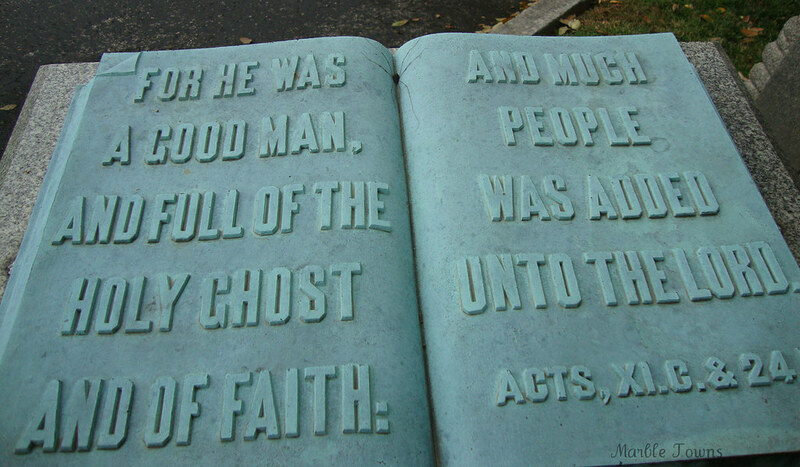 The open book atop this monument caught my eye, while I was at Cave Hill Cemetery in Louisville, Kentucky. So who was Hubbard Hinde Kavanaugh? 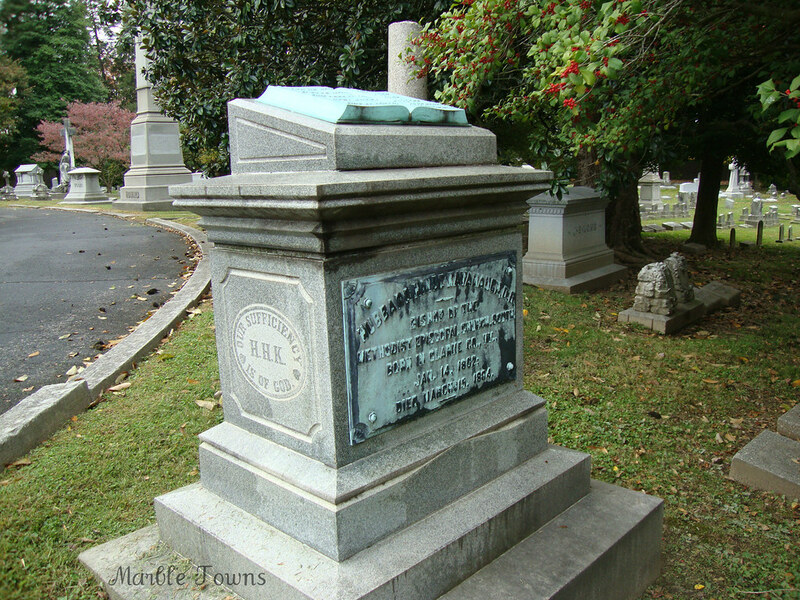 He was born on January 14, 1802 in Clark County, Kentucky, and died on March 19, 1884 in Lowndes County, Mississippi. There’s a whole book about him, called The Life and Times of H.H. Kavanaugh, one of the bishops of the Methodist Episcopal Church, South by Albert Henry Redford. He was the son of Reverend Williams Kavanaugh and Hannah Hubbard Hinde, and was named for his great-grandfather Hubbard and for his grandfather Hinde. During his life, he was bishop of the Methodist Church South and was one of the most influential bishops of the Methodist Episcopal Church. He was part of a league of Protestant ministers who came together to oppose the Catholic Church. Welcome to Week #8 of Taphophile Tragics on this blog! My link list is Powered by Linky Tools. Please Click here to enter your link and view this Linky Tools list… which will open in a new page (sorry ….. unless I pay for the full WordPress, this is the best the Linky can do). In this county, on the 10th day of March, 1874, Dr. Joseph B. Fox, aged 73 years. After several months of a peaceful and gradual decline, with scarcely any symptoms of disease. The Doctor was a member of the M. E. church for 44 years – a consistent Christian – modest and unassuming, and yet by his purity of life and unostentatious charities, a very efficient worker in the church. His last words were “Precious Jesus”. Dr. Fox emigrated to this city from Loudon county, Va., about 33 years ago, and has resided here, and on his farm on Sugar Creek, nearly ever since. He was a well educated physician, and a very successful practitioner-always as prompt to answer calls of the poor as the rich, for his professional services. Pub. in Illinois State Journal, Springfield, IL, 3-14-1874. 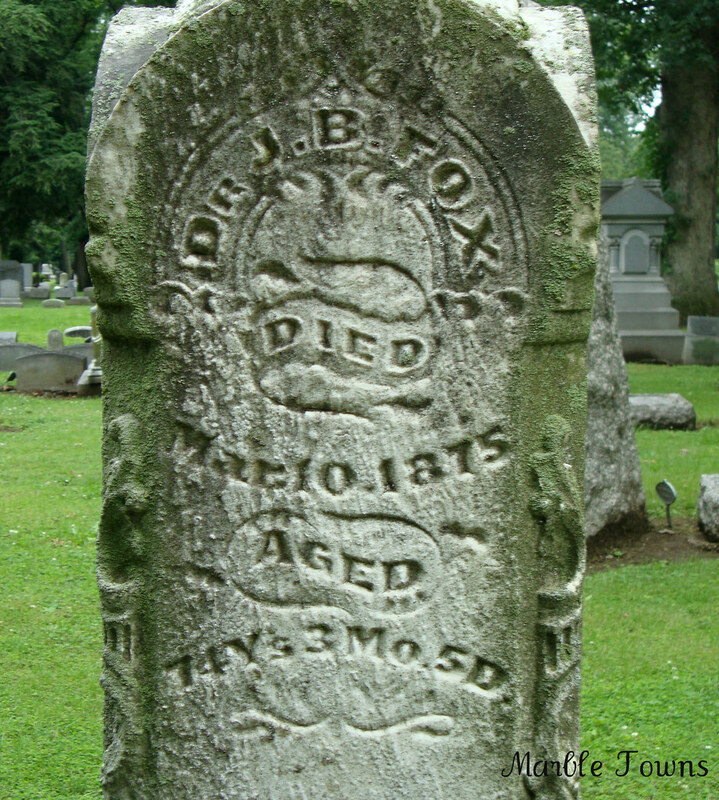 There is an entry in Ancestry.com which says that Joseph Braden Fox married Amanda Leslie and had 11 children. 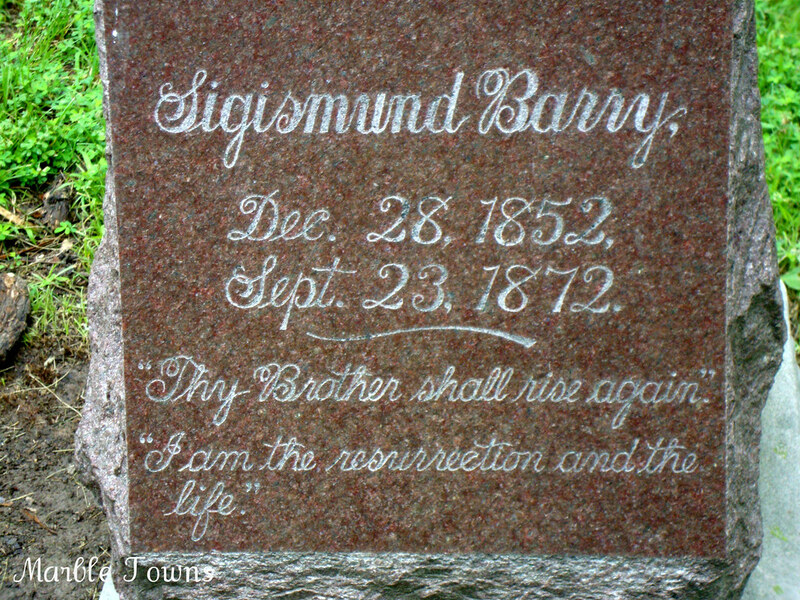 The entry also says he passed away on March 10, 1874. 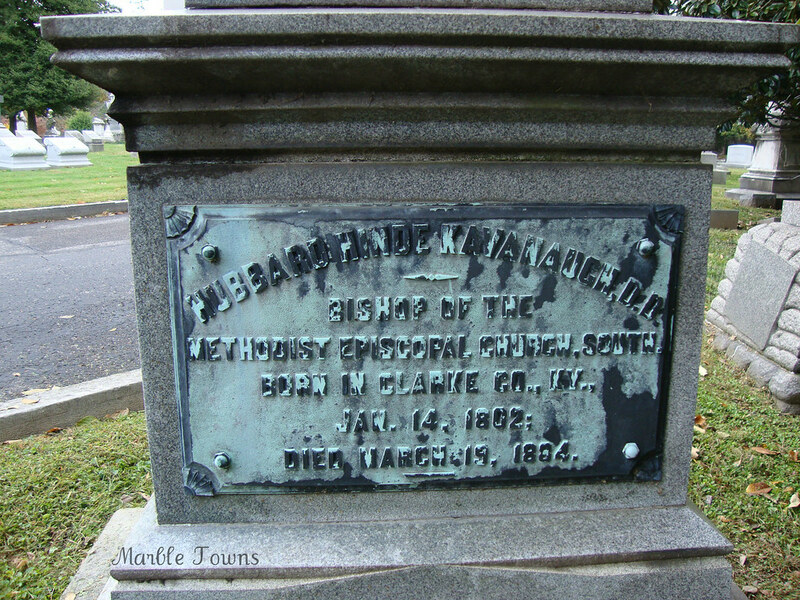 So I wonder what happened with this marker, and why it shows 1875 …. Amasa Coxe …. or is it Cox ?? 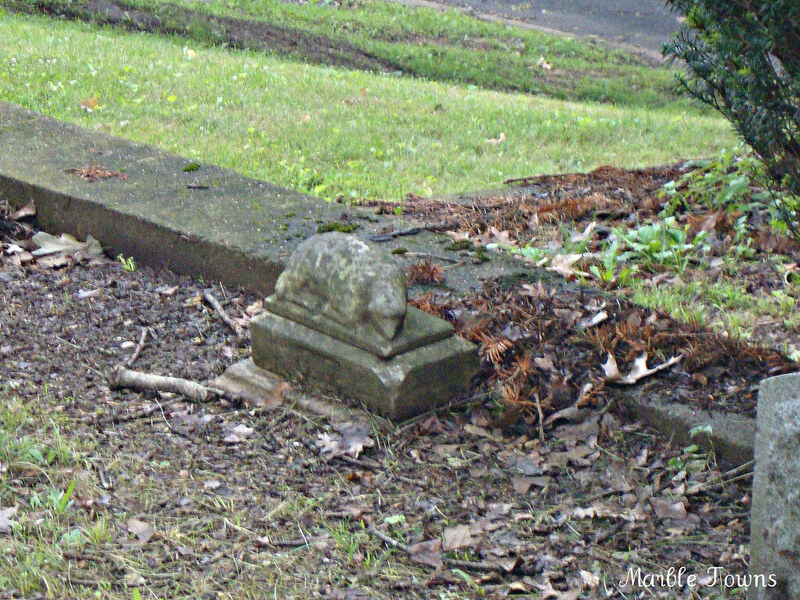 Found in Oakwood Cemetery in DeKalb, Illinois. My husband took this photo because the names caught his eye. I did a little looking to see what I could find about the Coxe family, and discovered census records …. which all list their last name as Cox. 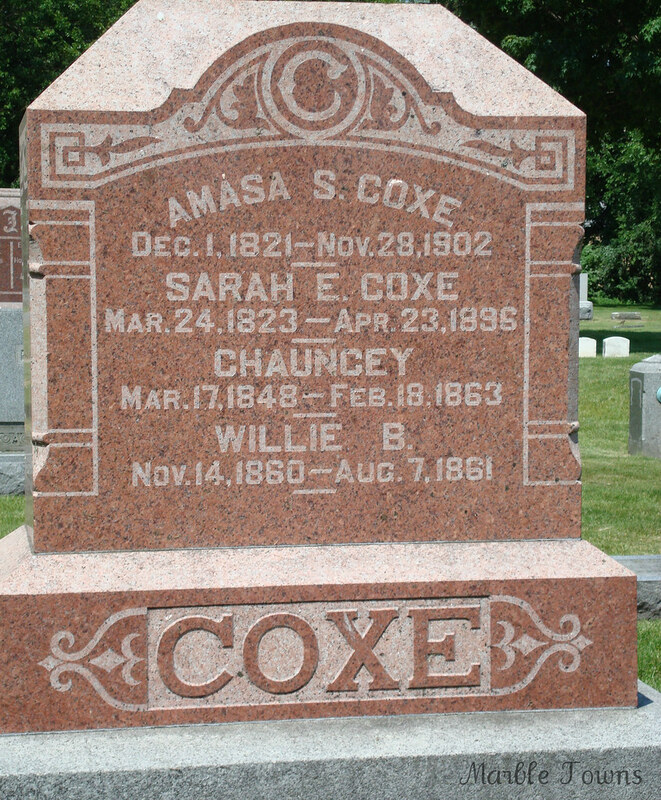 So I’m not sure what happened ….. Perhaps Coxe is how the family really spelled their name, and the census takers never added on the extra “e”. Amasa S. Cox shows up in the 1860 census, with his occupation listed as a miller. Sarah is listed as keeping house, and they show a son, C.W. (I’m assuming that’s Chauncey) and another son, Herbert, age 1. The 1870 census shows that Amasa has changed his occupation to a machinist. Sarah still shows on the record, as does Herbert, but now, there is another child listed, Winfred, age 4. The 1880 census shows Amasa Smith Cox, with his occupation showing as a miller again. Sarah is on the list, along with Herbert J, who is old enough to also have an occupation listed (miller), and Winfred J.
I didn’t find Winfred again, and thought maybe his name on census records may have changed to Fred (and frankly, I didn’t feel like sorting through all the Fred Cox records that came up, sorry). Herbert M. Cox does show up in the 1900 census, with information that makes me think this is actually Herbert J — the census record shows him with a date of birth in 1861, which is more or less around when Amasa and Sarah’s son would have been born. Herbert M’s occupation is listed as a grocer, and at the time of the 1900 census, he has a wife and 3 children at his address, along with a boarder. 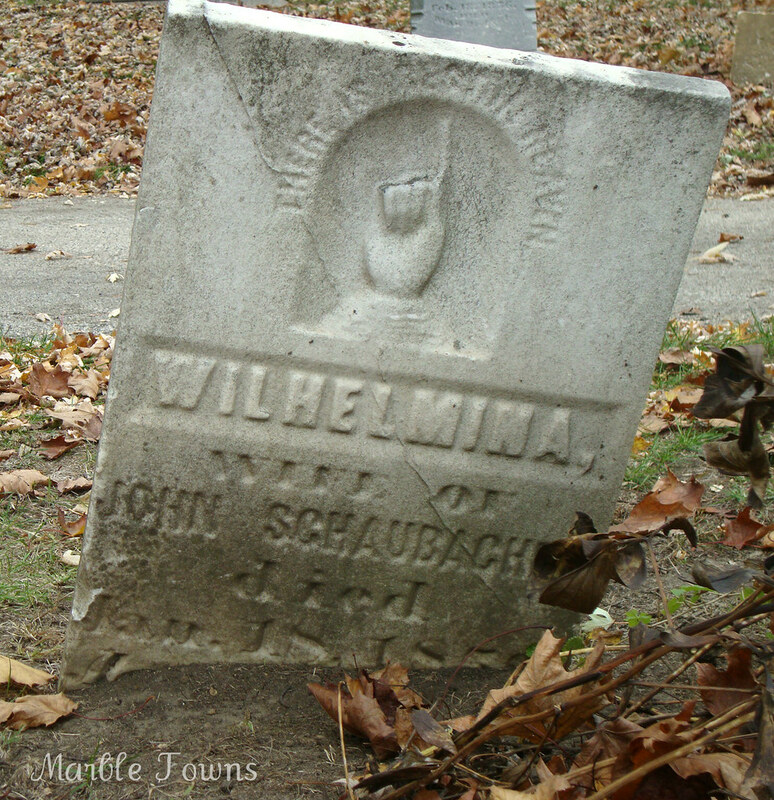 Found in Oak Ridge Cemetery in Springfield, Illinois. I tried a brief search to see if he shows up in census records in Illinois, but he does not … not in Illinois and not anywhere. So, a bit of a mystery as to who he was, but his stone was obviously placed here with some love. 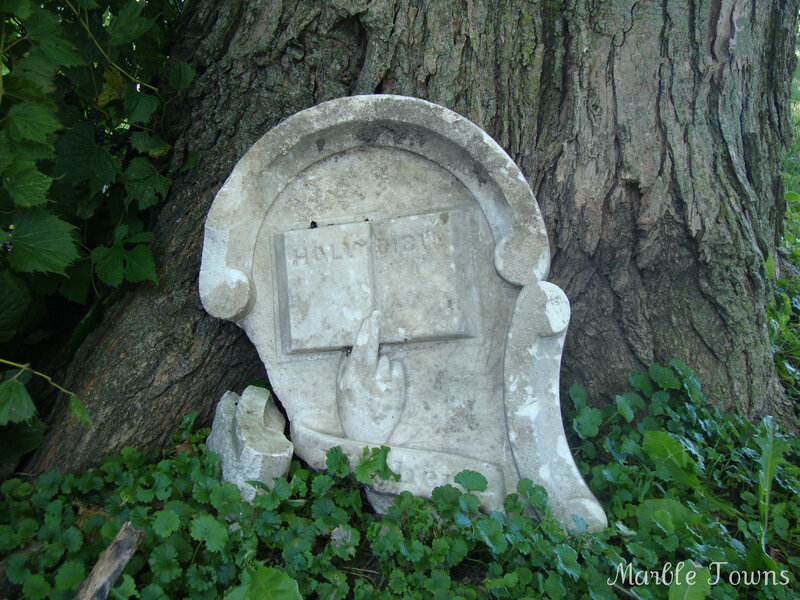 Found in the Warrenville cemetery, Warrenville, Illinois. Unfortunately, no name survives on this stone. in Oak Ridge Cemetery, Springfield, Illinois. Please Click here to enter your link and view this Linky Tools list… which will open in a new page (sorry ….. unless I pay for the full WordPress, this is the best the Linky can do). This marker is in Arlington Cemetery in Elmhurst, Illinois. I found references to Captain Pray in a few books. 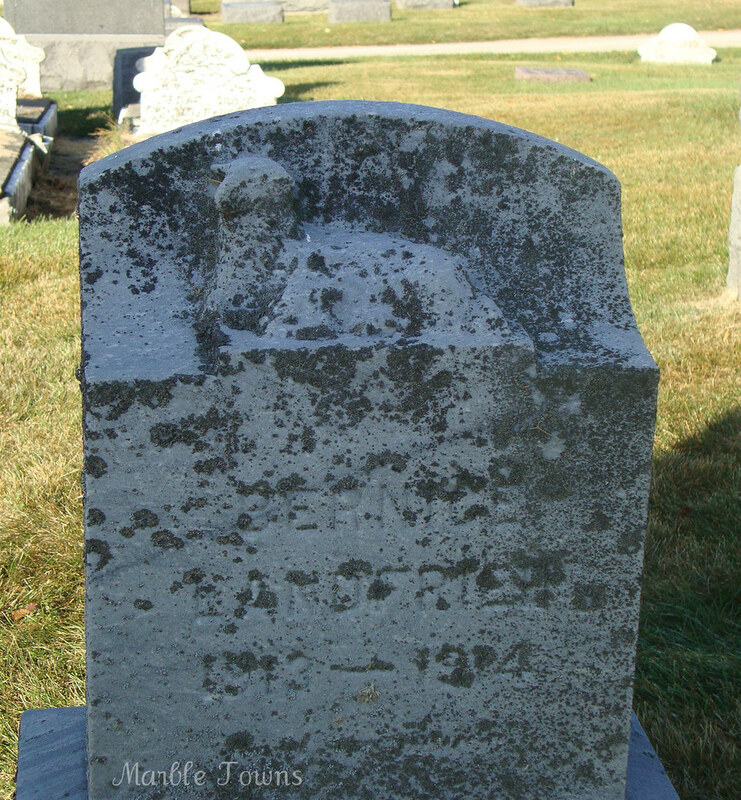 He’s listed in the Record of the Services of Illinois Soldiers (Troop E) in the Black Hawk War (which was in 1832). A History of Cook County, Illinois: Being a General Survey of Cook County, Volume 1 – edited by Weston Arthur Goodspeed and Daniel David Healy says, ” The First Illinois cavalry, organized in Chicago upon the first call of President McKinley for troops, embraced seven companies of Cook county men. 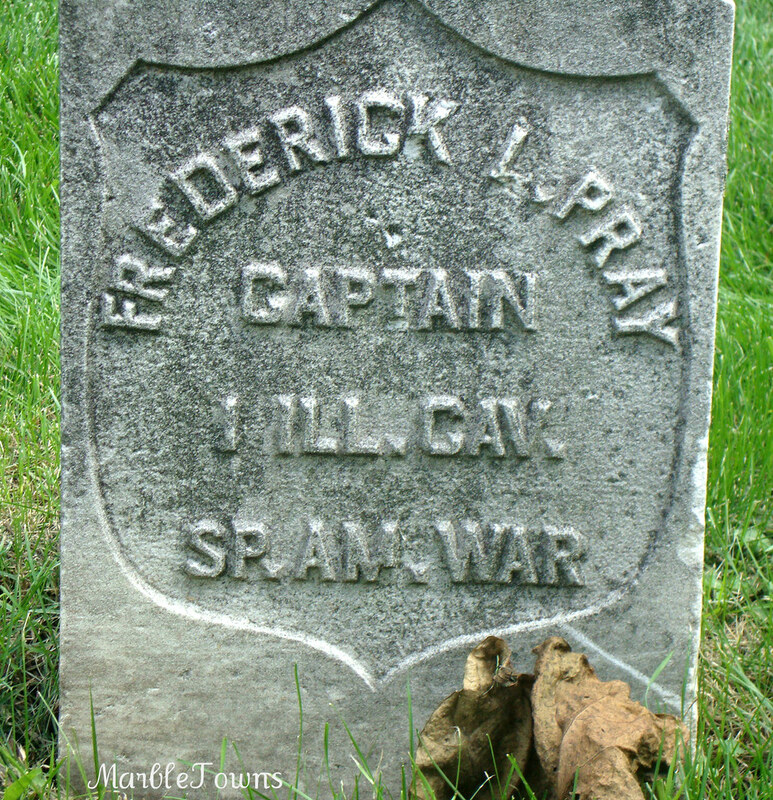 It was mustered into the service at Springfield, May 21, 1898….It participated in no engagements, but in drill and discipline was brought to high efficiency.” Frederick L. Pray is listed as a captain in this entry. This cemetery has about 140 Spanish-American War veterans buried there, and there’s an interesting article from the Chicago Tribune about this.